Made in Northern Ireland Awards 2019 | Food NI - Our Food So Good! Insider is pleased to launch the Made in Northern Ireland Awards 2019. The awards recognise and reward manufacturing companies based in Northern Ireland that have demonstrated success in innovation, product development and growth in either domestic or overseas markets. The Made in Northern Ireland Awards showcase many of the high-quality manufacturing businesses in the region that are behind this success. 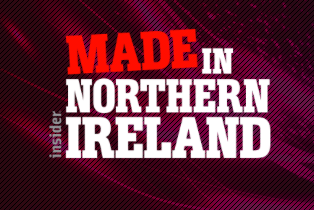 This is the sixth year that Insider has run the Made in Northern Ireland Awards, which is part of a national suite of events that Insider hosts around the UK, all culminating in its national final, Made in the UK, which takes place later in the year. Insider will once again be working with leading trade body Manufacturing NI as well as other manufacturing bodies to promote the awards. They will also form the judging panel that will determine the shortlists and the eventual winners for each category. The shortlists for each category will be announced in the weeks leading up to the awards lunch, being held at the Titanic Hotel, Belfast on 10 May 2019, when the winners will be revealed.